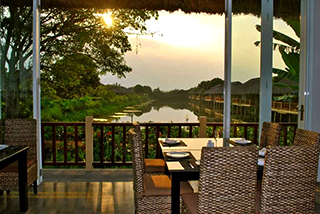 In Cai Be, 2 hours away driving from Saigon, is the Mekong Riverside Resort & Spa. 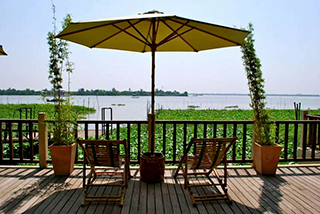 The ecoresort is located on the Mekong River, and it combines comfort and environmental awareness. 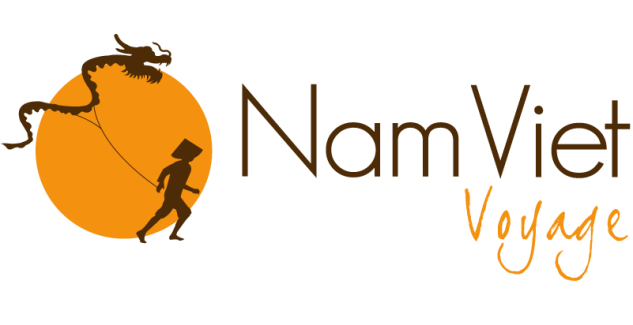 Its location is a great venue to unwind but also to discover local life. The hotel features a 7-hectare garden, which daily provides the restaurant with fresh products thanks to a vegetable plot and some fish-farming, but which is also great to take a stroll and relax. 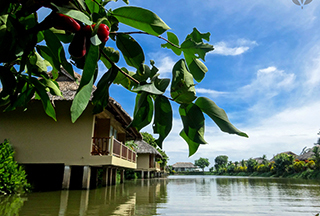 The hotel has rooms and bungalows, some of them set up upon the river: you will enjoy a stunning view on the inhabitants’ local life in the Mekong Delta, as well as a peaceful tranquillity. 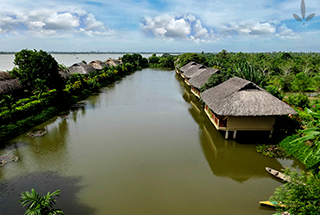 Besides, the ecoresort provides a range of various activities: swimming-pool, spa, bird-watching, cycling, kayaking. The place has its own bakery where a chef specializing in bakery and pâtisserie works, and always has plenty of ideas about how to satisfy the guests’ palates. Cooking classes are also available at the resort.